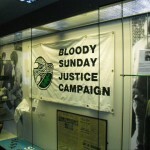 The Free Derry Museum has been a working progress for the last six years by the Bloody Sunday trust and its main aim was to ensure that all the memories and struggles of the people of Derry are captured and preserved for everyone to see so the hardship of the people of Derry is never forgotten. This wonderful building close to the people’s heart was officially opened on the summer 2006, with the purpose to create an archive focussing on the most important periods of the city of Derry. These events defined Derry and the wounds inflicted were carried to generations today. The museum tells the story of those who were greatly affected by the events of the troubles, it is a community story told by a community perspective. 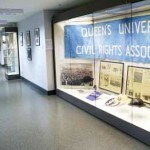 The museum currently has 25,000 individual items related to this part of the city’s history. 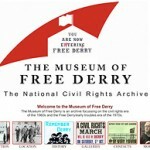 The Great thing about this museums development is that it gives those who suffered greatly to be able to tell their story and give their own tales of events and let their voice be heard after 40 years of silence, so that a greater light can be shed on the tragic events of the troubles and not just the “single” official version of events. The term Free Derry is used to cover the various areas of Derry including the Bogside, Brandy well, Creggan, Bishop Street and the Foyle Road. The benefits of this museum to the City of Derry is numerous it will secure many jobs for those looking for employment and it will also bring in a great range of tourist attraction to the city. 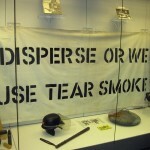 The Museum has many aims but the main one is that the voice of the people is heard and that people are aware particularly the younger generation who seemed to have moved away from the troubles that life was not always this way that the people before suffered and fought for what they have achieved today. 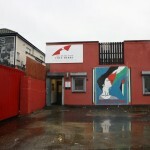 The museum is located at the southern end of Glenfada park, this site was chosen due to the fact that it is the central place of the city, which is only a walking distance from many places to stay, mainly Derry Bed and Breakfast. It is only yards from the Bloody Sunday Monument and the Rossville flats which was the main place where the many killings took place. 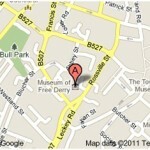 The museum is the key focal point for all those interested in the history that defined Derry.